Air Amplifier: A simple, low cost way to move air, smoke, fumes, and light materials. Air Amplifiers utilize the coanda effect, a basic principle of fluidics, to create air motion in their surroundings. 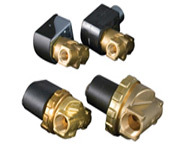 Air Knife Systems: Air Knife Systems utilize compressed air for industrial applications that include drying, removing excess oils and liquids, dust blow off, and cooling..
Air Nozzles & JetsEngineered Air Nozzles and Jets reduce noise levels and air costs. 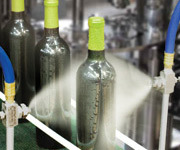 "Go Green" by upgrading your blowoff, cooling, and drying operation to the award winning Super Air Nozzles! 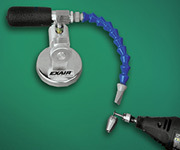 Air Operated Conveyors: EXAIR's compressed air operated Line Vac connects to standard hose, pipe or tube to create a powerful in-line conveyor. 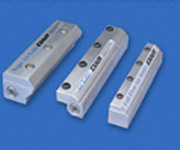 The compact design features large throat diameters for maximum throughput capacity. 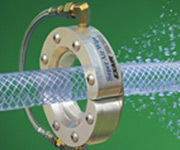 Air Wipes: EXAIR's Air Wipes provide a uniform 360° airstream ideal for blowoff, drying, cleaning, and cooling of pipe, cable, extruded shapes, hose, wire and more. The unique, split design makes it easy to clamp around the surface, eliminating the need for threading. Cabinet Coolers:EXAIR Cabinet Coolers are a low cost, reliable way to cool and purge electronic control panels. They provide air conditioning for the electrical enclosures, eliminating electronic control downtime due to heat, dirt and moisture! 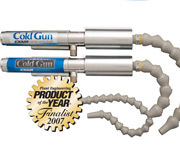 Cold Gun Air Coolant System:A new solution to an old problem. 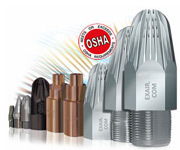 Heat build up on dry machining operations reduces tool life and machining rates. The Cold Gun Aircoolant System produces a stream of clean cold air at 50°F (28°C) below supply air temperature. 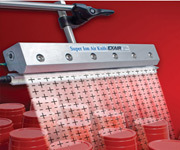 Industrial Housekeeping Products: EXAIR offers a complete line of industrial housekeeping products to help keep work surfaces, product, machines and windows clean. Atomizing Spray Nozzles: EXAIR’s atomizing spray nozzles atomize fluids (most commonly water) in a range of spray patterns for a variety of uses. They combine liquid and compressed air to create a mist of atomized liquid that can be easily adjusted to meet the needs of your application. 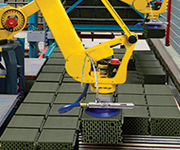 Optimization: "Go Green" with Intelligent Compressed Air® Products! It’s a worldwide problem. 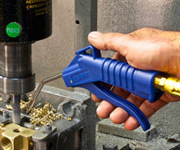 Compressed air leaks and inefficient blowoffs can waste thousands of dollars of electricity per year, affecting your company's production costs and bottom line. .
Safety Air Guns: Inexpensive air guns are sold through many catalogs and industrial supply companies. Most have triggers or other parts that break quickly. 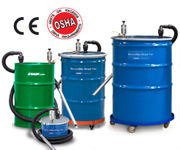 Static Eliminators: Eliminate static and dust! 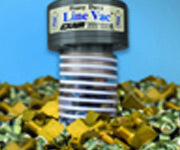 Neutralize and clean at distances up to 20 feet! 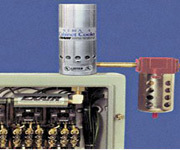 EXAIR static eliminators neutralize static electricity charges in a wide variety of industrial processes. Vacuum Generators: Vacuums for lifting, clamping, mounting and placement! EXAIR’s compressed air powered E-Vac single stage vacuum generators are the low cost way to create a vacuum for a variety of applications. 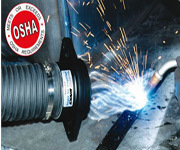 Vortex Tubes and Spot Cooling Products: Meets or Exceeds OSHA Requirements. 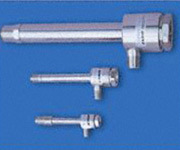 EXAIR's stainless steel Vortex Tubes convert an ordinary supply of compressed air into cold air at -50°F (-46°C) on one end, up to 260°F (127°C) on the other. Mini Cooler: A proven way to reduce downtime and increase productivity on a variety of operations involving small parts where heat is the problem. 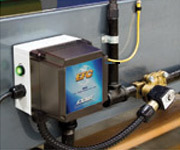 EXAIR's Mini Cooler produces a stream of 20°F (-7°C) cold air to prevent heat build-up. Accessories: EXAIR has a wide variety of Accessories for use with EXAIR's other compressed air products such Filter Seperators, Oil Removal Filters, Pressure Regulators etc.